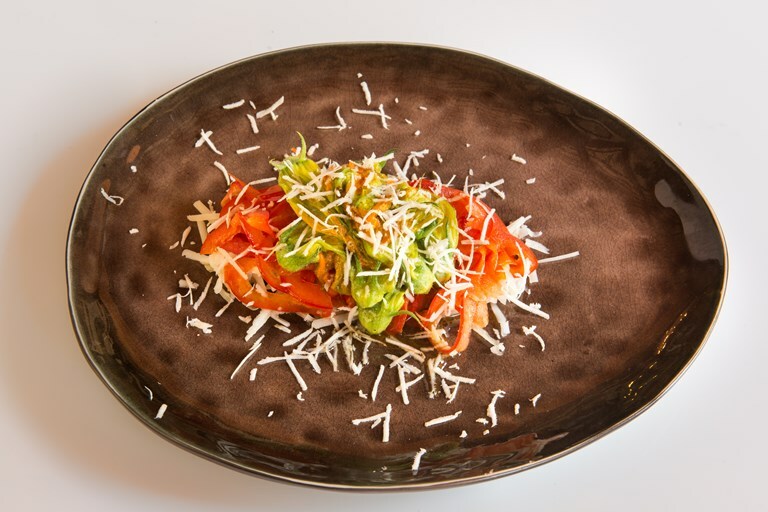 This simple recipe from Alessandro Gavagna makes an elegant summer dish when courgettes are in abundance. The delicate flavour of the flowers and sweet red peppers is paired alongside tangy apple, punchy horseradish root and grated Montasio, a Venetian cheese with a wonderfully creamy flavour. Montasio is made from animal rennet, so to make this dish truly vegetarian seek out an alternative cheese with a similar mild flavour.